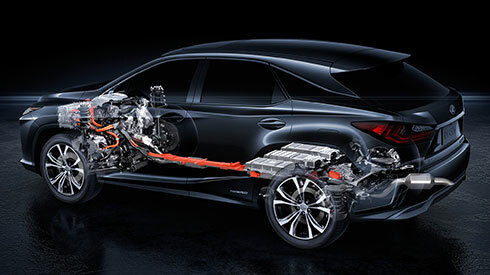 For dynamic driving and exceptional environmental performance, Lexus Hybrid Drive intelligently combines the power of a highly-efficient 3.5-liter gasoline engine with electric power from a high-output motor. 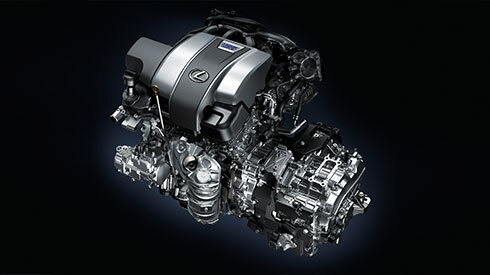 The V6 hybrid Atkinson Cycle engine features Dual VVT-iW and advanced D-4S fuel injection system to deliver exciting performance with outstanding drivability, excellent fuel efficiency, and reduced emissions. 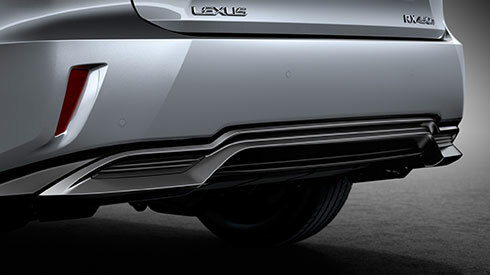 The metallic cover of the lower rear bumper contributes to the excellent aerodynamics, with clean lines that communicate a subtle yet distinctive identity suitable for a hybrid. E-Four uses a rear motor that operates independently from the front motor to optimize distribution of front and rear drive force. 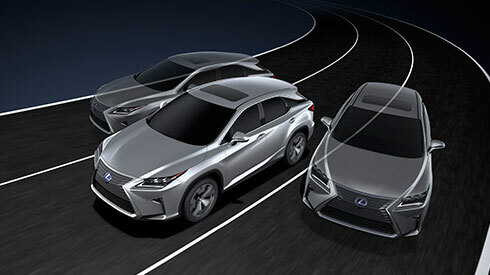 In addition, it features slip and yaw rate feedback controls, for excellent vehicle stability in a wide range of driving conditions.